Wisdom is something that pretty much all philosophical and religious traditions seek. While it isn’t a popular concept in modern academic philosophy departments, that’s a bad reflection on the latter, not on the former. 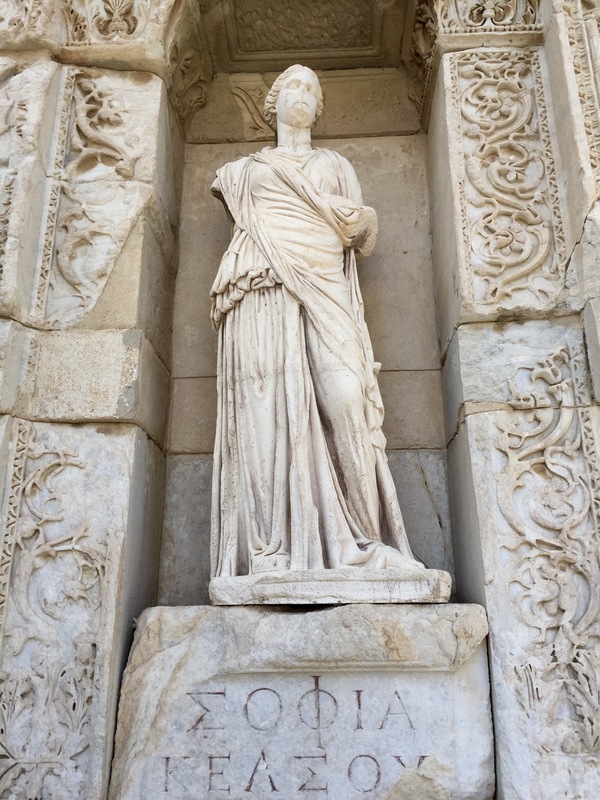 The Greeks since Aristotle’s Nichomachean Ethics distinguished two different kinds of wisdom: phronesis, or practical wisdom, and sophia, or “transcendental” wisdom. To complicate things from a Stoic perspective, while phronesis is one of the four cardinal virtues (the others being temperance, courage, and justice), many Stoics thought — together with Socrates — that these are all aspects of one underlying virtue, which they referred to as wisdom. Clearly, a bit of unpacking is in order. A good, if somewhat unusual, place where to start is a special issue of the journal Research in Human Development (volume 8, issue 2, 2011), which published a collection of essays on “Sophia and Phronesis in Psychology, Philosophy, and Traditional Wisdom,” as the title of the introductory article, by Richard Hawley Trowbridge and Michel Ferrari, spells out. Until reading the paper, I was unaware, for instance, that psychologists have published over 100 articles featuring empirical research on wisdom, or of the existence of the Berlin Wisdom Paradigm, an ongoing research effort on wisdom based on principles of cognitive psychology. So, again, while phronesis is a practical type of wisdom, sophia is more general, more abstract. It actually helped me recently to be reminded that the Romans translated phronesis as prudentia, or prudence, which comes from providentia, meaning “seeing ahead, sagacity,” and is the ability to govern and discipline oneself by the use of reason. If we follow the Romans, then the four cardinal Stoic virtues become prudence, temperance, justice and courage, and we can use the word “wisdom” for that kind of deeper understanding of things from which, presumably, the four virtues themselves spring. I find this solution of the one-vs-many virtues issue as well as of the difference between sophia and phronesis both elegant and helpful. That is highly unfortunate, particularly because wisdom and truth are most certainly not mutually exclusive, and “usefulness” should be regarded more broadly than just the idea that new gadgets will make our lives more pleasant. Do they also make it more meaningful? This relegation of wisdom and the pursuit of virtue to a quixotic, if not even pernicious, way of thinking is something that we need to redress as a society. It is indeed wonderful that science and technology have made so many useful things available to us, not to mention having greatly expanded and refined our understanding of the cosmos. But ultimately, we all seek to live meaningful, not just entertaining, lives (even those who would deny such statement, I suspect), and science simply cannot be a source of transcendental wisdom, because that comes from experience and especially considered reflection. That is, it requires philosophy. This entry was posted in Virtue Ethics on September 20, 2016 by Massimo. Would “foresight” be a better word than “prudence”, which for me has connotations of timidity? My understanding is that prudence contains the elements of understanding the consequences of actions before choosing an action, but also having the courage to make the choice and act when necessary. Timidity relates to being fearful of the consequences of an action, thus being unwilling to make the decision and act. I would be interested to know more about the scientific investigation of wisdom. There will be aspects of it that cannot be captured entirely in empirical investigation, as you suggest. Wisdom isn’t a matter of having all the facts, it’s a matter of having the right ones, where “right” is defined at least partially in ethical terms. This is not to denigrate an empirical study of wisdom, far from it. But it is to say one should probably approach claims to its empirical investigation with some trepidation. Many of the defining characteristics of wisdom are as it were a priori, even if (as captured in the concept ‘phronesis’/’prudentia’) their precise contours may only come into focus through practice. It is therefore as you note more properly a subject of philosophy than science. But philosophy is cross-cultural. Would be good to note that the high regard held for wisdom is cross-cultural as well, including (at least) the Buddhist tradition. Buddhist notions of wisdom are very, very similar to the above 2009 definition, including notions of ethical behavior, nonattachment, self-transcendence (e.g., awareness of non-self), as well as compassion and similar positive emotional components. Yes, “prudence” is a word whose immediate meaning has changed in recent times, though I think the classical meaning is actually very appropriate. “Foresight” is, I think, insufficient, it sounds too ethically neutral to me. See also Jonathan’s comment. Right, I share your caution about empirical investigations of wisdom, but I am also convinced that philosophy shouldn’t be done in a vacuum, and that good empirical inputs are always welcome. They do, however, usually underdetermine philosophical positions (meaning that more than one philosophical take is compatible with a given set of empirical data), which is why I reject the simplistic, Sam Harris or Michael Shermer-like, notion that one can read ethics directly from empirical science. Massimo, is there any summary available of the empirical research on wisdom, or the Berlin Wisdom Paradigm? Can you provide a summary? Agreed that empirical inputs are always welcome. I also hope the investigators will take philosophical inputs from a variety of cultures and time periods so as to have available the most complete toolbox for investigation. While it is an open question whether all past, worldwide notions of wisdom qualify as such by contemporary standards, nevertheless if we do not at least put them on the table for discussion we are doing a disservice to the study. I think those two special issues of the journal I mention here are meant, in part, as summaries of the available empirical literature. I’ll look to see if there is anything else. I’m sure there will be. OK, at present one is left asking the authors for a copy of the 2011 paper through the site. The abstract is less than entirely informative. Thanks for your help, and if you do find more information I hope you will let us know in future blog posts. Ahh, yes, brings back my collegiate Greek days. Massimo, per the various meanings of the Latin, perhaps “sagacity” might be even better than “prudence” in English. And, it certainly comes off as an ethically non-neutral word, and, to me, a more active word than prudence. i like sagacity too- that which the sage possesses. ‘prudence’ has come to be reserved for when explaining why a strong action was not taken, though i like its specific definition. Perhaps there is another reason why science cannot be a source of phronesis but, Science ultimately is experience and reflection. As a scientist myself, I can attest to the fact that it is a much narrower activity than a general reflection on experience — which is what philosophy is. Only certain kinds of experiences count for scientists (systematic observations and experiments, not personal experiences, for instance), and reflection is limited to those and informed by specific questions and theoretical frameworks. The sort of reflection we are talking about here has, of course, a much broader scope. I suspect that modernity and wisdom tend to not mix well. During the modern era our culture has changed so rapidly as to be tangibly different from each generation. Also, in modernity this change is viewed as progress. One consequence of this is that youth becomes valued, while older age becomes under-appreciated, since old people’s knowledge is seen as obsolete. Wisdom takes time to develop, and to value wisdom is also to value older people’s knowledge and abilities….